As the Eagles enjoyed their bye week, following a big momentum-gaining win against the Jaguars and before their Sunday night matchup with the Cowboys, the team’s grill chef Tim Lopez re-launched his Feeding the Birds podcast. Lopez doled out six episodes of the podcast last season, then two in the offseason, and now he’s back for another go-round. The first episode of the new season featured a sit-down with Doug Pederson, ice cream’s biggest fan and head coach of the team. The whole thing is worth a listen — Pederson tells us in the first two minutes that he just isn’t into “the cheese curd thing” — but the ice cream talk is, unsurprisingly, worth breaking down. 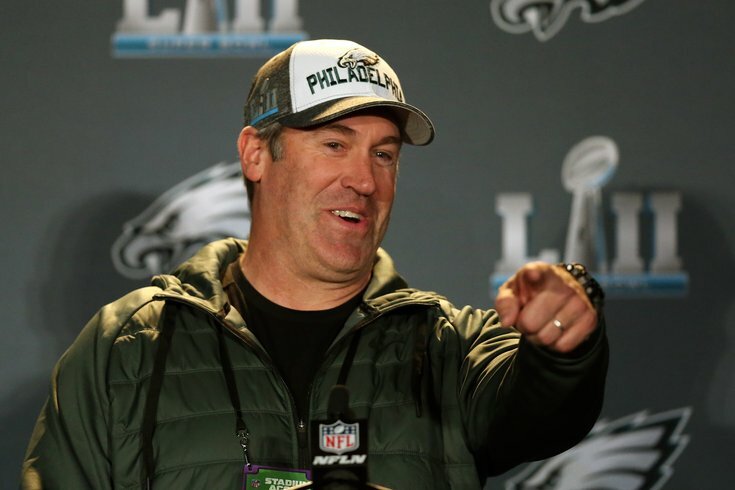 Pederson said a few weeks after the Super Bowl that Haagen-Dazs hadn’t reached out to him despite his very clear preference for their products, so if it wasn’t Haagen-Dazs … who sent him the ice cream? Also, it’s pretty neat that his friends get to eat what is ostensibly Super Bowl Champion ice cream. That’s top-tier stuff. That’s so much ice cream! Eagles fans are something else. PEDERSON: “Well, yeah, you know, a little vanilla bean, vanilla flavor. Because you can do so much with vanilla. You can put sprinkles on it, you can put chocolate sauce, you can put strawberries, caramel, whipped cream, cherries, bananas, whatever you want. It’s hard to do that when you’ve got, like, pistachio or some buttercream. He’d touched on the toppings before, so this one isn’t a huge revelation, but now we have an official recipe for Eagles fan canon.